I first sailed in England over 36 years ago, and immediately fell in love with the freedom of sailing. As a teacher, when I get to see other people learning the skills for themselves, it is very satisfying! I always strive to match my teaching to the learning style of each individual student. 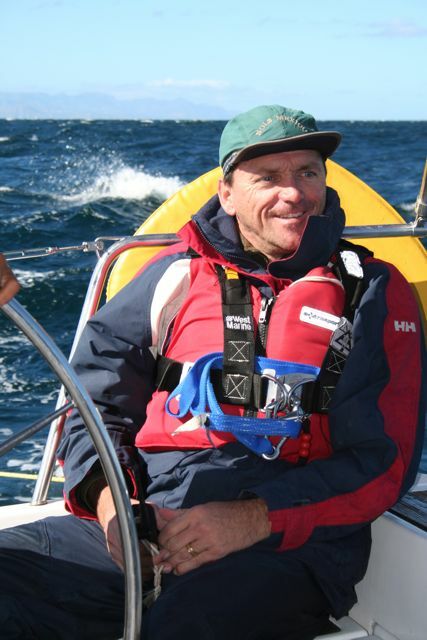 With over 26 years working for the National Outdoor Leadership School (NOLS) and Outward Bound, I have lots of experience managing sailing programs and teaching adults and youth from diverse backgrounds. I have taught sailing in many locations around the world, including: Wales, Scotland, New Zealand, Tahiti, the West Indies, the British Virgin Islands, the Sea of Cortes, the Florida Keys, Maine, the Inside Passage to Alaska, the Strait of Georgia, the Gulf Islands, the San Juan Islands, and Puget Sound. I’ve been racing in Puget Sound for 12 years. I love racing because it challenges me to learn more about the wind and the weather. Plus, it is a great opportunity to be with people who share the same passion! I’m really excited about racing opportunities for Club members because racing in a one-design fleet allows students to see where their skill level is compared to the racing fleet. I joined Seattle Sailing Club in 2010. I am certified to teach ASA courses from Basic Keelboat through Advanced Coastal Cruising. I’m also certified through RYA, CYA, ISPA, and I hold a USCG Captain’s License.